Researchers are looking for hundreds of Plymouth smokers who don’t want to quit but do want to reduce the number of cigarettes they smoke. The team from Plymouth University Peninsula Schools of Medicine and Dentistry (PUPSMD) will lead the National Institute for Health Research funded study to test whether personal support can help. Professor Adrian Taylor, Associate Dean for Research in PUPSMD, is leading the study across four cities – Plymouth, Nottingham, Oxford and London - which will hopefully provide a definitive answer as to whether future services should be adapted to support those not ready to quit. “We know that over 50 per cent of smokers want to reduce the number of cigarettes they smoke but not quit,” said Professor Taylor. “So this study is for a different type of audience to the smokers who are ready to quit. At the moment services are geared towards supporting people who want to quit and so those who aren’t ready to abstain are left until they are ready to quit. Many current smokers have struggled to quit in the past, either by abruptly quitting or trying to reduce first. If this study proves successful then this could change the way that the one in six (16 per cent) of the national population who smoke (with more than double that in some areas of Plymouth) are supported across the country. The support available is up to the individual to determine and can take place on the phone or face to face at a convenient community location. 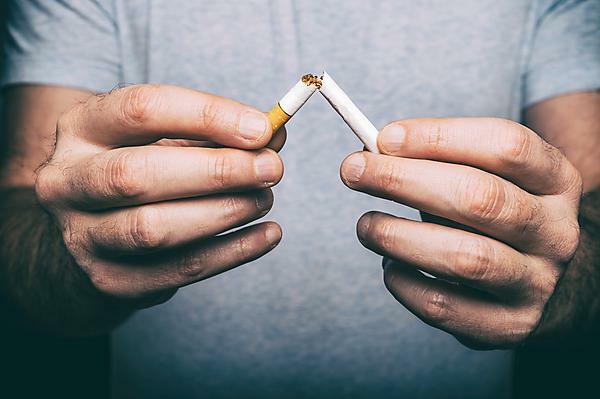 The rate of reduction in smoking is up to the individual and those who take part in the study are also allowed to use nicotine replacement therapies and e-cigarettes should they wish. This study is managed by the Peninsula Clinical Trials Unit (PenCTU) and supported by the NIHR Collaboration for Applied Health Research and Care South West Peninsula (NIHR PenCLAHRC) and the NIHR Clinical Research Network South West Peninsula. It is a collaborative project between the University of Plymouth, Plymouth Hospitals NHS Trust, St George’s University of London, University of Oxford, University of Nottingham, University of Exeter, and Plymouth City Council. If you are interested in finding out more about the study please contact the local study team on tars@plymouth.ac.uk or call 07812 651805. Researchers from Plymouth University Peninsula Schools of Medicine and Dentistry (PUPSMD) are leading a national study with £1.8 million of funding from the NIHR Health Technology Assessment programme (NIHR HTA: 15/111/01) to test the effectiveness of new support to help smokers who want to reduce but not quit. Find out more about this trial - from the researchers and key partners to the project aims and anticipated outputs.